and other cities in the Bay Area and Northern California. We will also travel anywhere in the USA. Let Captain Jack entertain your guests at a pirate party or special corporate event in the Bay Area, and the surrounding areas of San Francisco, CA. This Captain Jack is a crowd pleasing entertainer with one hour a pirate theme stage show for $350. Email US to have him at your party or event. Call us for best Jack impersonator in Northern California for the ultimate pirate party or an unforgettable event in the Bay Area. Jack performs puppetry, ventriloquism, juggling, and magic in his show. Staging shown is extra. 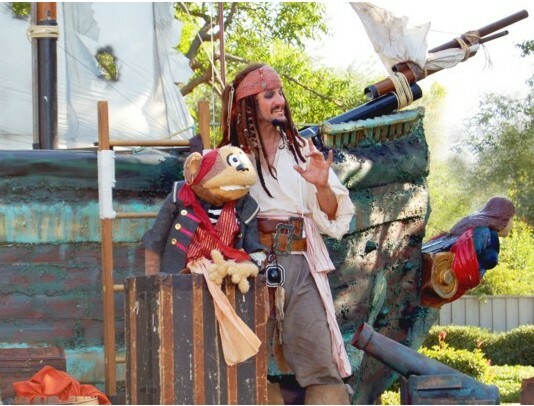 Get the best Jack Sparrow impersonator entertainer for your children's birthday party or corporate event or any party in the San Francisco, Bay Area. The one hour show is $350 for most of the Bay Area, some travel charge may be added in some locations. 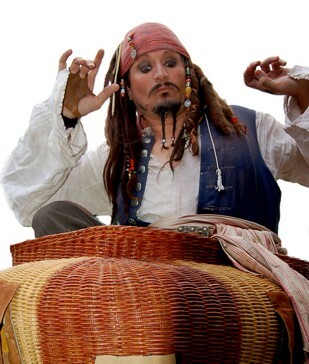 We have a Jack Sparrow entertainer in San Francisco to entertain at your corporate event or party in the Bay Area. We also provide other pirate characters and entertainers in authentic period clothing for your event. Our pirate characters are also very popular at a kids pirate theme birthday party or any type of children' s party including a pirate and princess party.